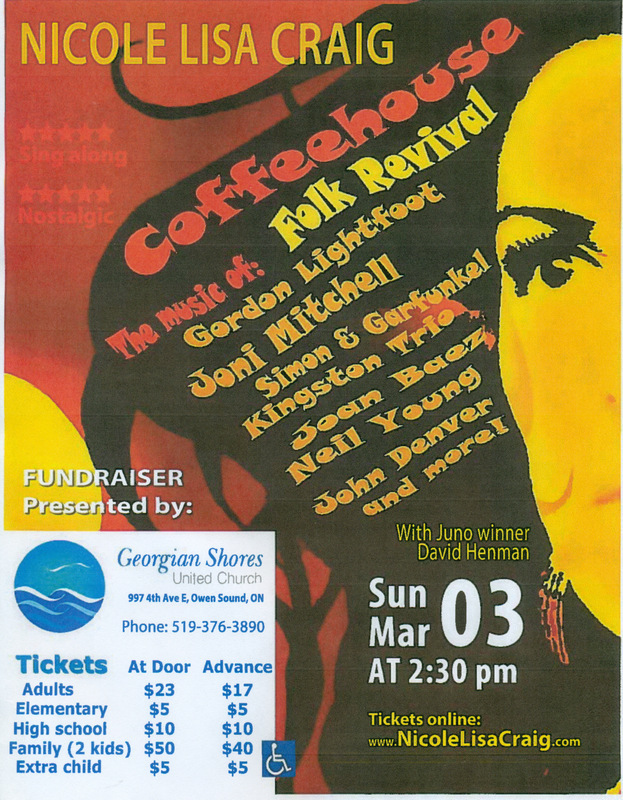 Please join us for an afternoon of folk music on March 3. Advance Tickets are available online www.nicolelisacraig.com or at the church office Monday to Thursday, 8:30 to 11:30 and 12:30 to 4. Buy your tickets in advance to save money. Sing along to old favourites. Doors open at 2 p.m. Concert begins at 2:30 p.m.